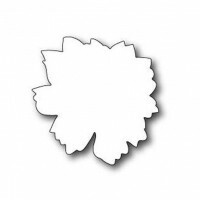 A Nestabilities flower with six individual die templates. 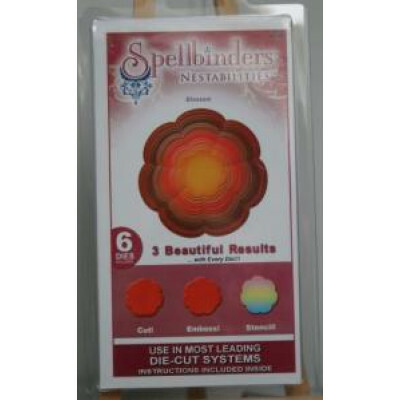 This one boasts seven wide, rounded petals. 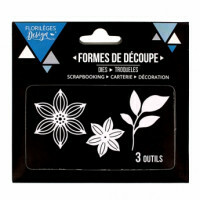 Cut/emboss the nested die template set to get 5 frames and an inner flower. Or cut them one at a time for 6 whole flowers. Spellbinders Nestabilities cut, emboss and stencil with a single die template. 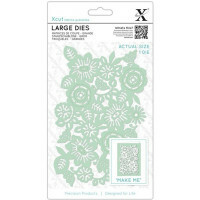 Approximate Die Template Sizes: 1: ⅞" 2: 1⅜" 3: 2" 4: 2½" 5: 3⅛" 6: 3⅝"
Memory Box thin die: Lovely Peony Background Appprox 7.2 cm diametre. Compatable with mos.. 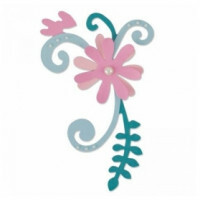 Simply Creative Flower Girl features a collection of pretty repeat patterns including flowers, heart..
Bigz Die Garden bloom, compatible with various cutting machines Big Shot, Big Shot and Vagabond (not..
Fine metal dies compatable with the majority of die-cutting machines. 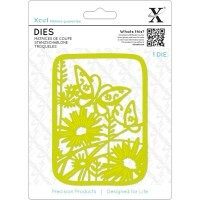 Number of dies : 3 Dimen..
1 X-Cut die X-Cut dies work with most die cutting machines such as the Big Shot, Vagabond & C..